« How to start a Movement. Just Do It. OMG Look What My Earthworms Did! They saved me $9. Or made me $9 worth of organic compost. That’s what this 5 pound bucket of organic compost would cost me at Home Depot. I just harvested this in less than an hour. It cost me nothing to make. Labor was free. The earthworms did it for nothing. I didn’t do anything except put clippings from the garden on a pile and the occasional kitchen scraps. The paper is from the bottom of the birdcage. This is my version of ‘add manure’. 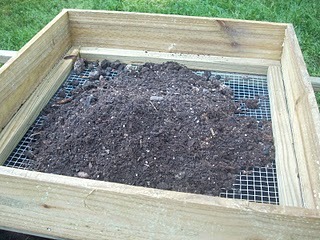 I used a loosely applied facsimile of the lasagna method to compost. The lasagna method is a layer of green stuff, grass clippings, lettuce, kitchen scrapes, then a layer of brown stuff, dried leaves, coffee grounds, parakeet droppings and one time one pound of earth worms. I hadn’t done anything to it for about 3 years. I mean I never turned it or tossed it. I just piled stuff on it. This is all the doings of hungry little earthworms. They work for scrapes. Earthworms are different from the red wigglers, Eisenia fetida that we use in our worm bin a.k.a. red worm, manure worm or fish worm. Red wigglers love being confined. Earthworms on the other hand, cousins to red wigglers, Lumbricus (genus) terrestris (species), nicknamed Lumber Jacks, would rather live outdoors footloose and fancy free in your garden or compost pile. Earth Worms: Have the power to move stones that weigh 50 times their own weight. They also ingest soil and organic matter equal to the amount of their body weight each day. A friend of mine recently broke her ankle hiking and was not able to get to her usual spring time chores. So she put out an APB to anyone that could lend a hand in the garden until she got back on her feet. I volunteered and my first assignment was to sift and turn her compost pile(s). Something I had never done before. 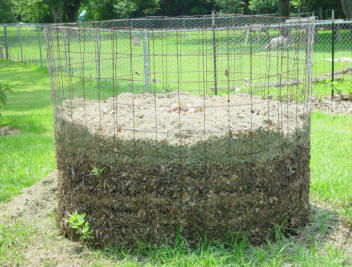 I could compost piles like a champ but what is this sifting thing all about? She has 4 huge compost bins about 5 feet by 5 feet in varying stages of decomposition. “First, Sift this pile into the bucket,” she said.” Right”, I said and got to sifting. 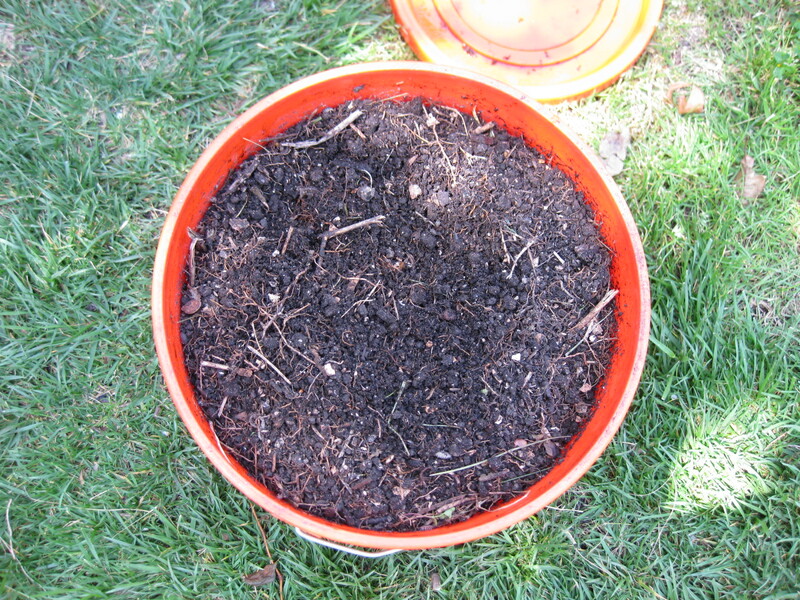 I lifted up the little door and started pulling compost out and onto the sifter that sat on top of a 5 gallon bucket. After about an hour of this we had a bucket full of compost. Nice beautiful rich and sweet smelling compost. into the compost bin you just emptied.” “Right” I said and started shoveling all the semi-composted stuff into the last stage composter. There were twigs and cut up tree trunks, and avocado seeds. It was all brown and all decomposing. This bin was different. It was open. I had to lift from the top. Using a different set of muscles here. “Next,” she said, O.k. by now I am thinking this is a lot of dang work. What do you mean next? Does Mother Nature really go through all this? I don’ t think so. Anyway, next meant layering all the green stuff just collected which was about half a ton of nasturtiums from her river bank, with all the left over sifted parts from the first bin. I needed a pitchfork for this job. And oh yes she had the pitchfork so I got to work. Green stuff is lighter so this only took about 30 minutes. Now, it was layered and it was beautiful. There is something for everyone when it comes to composting. 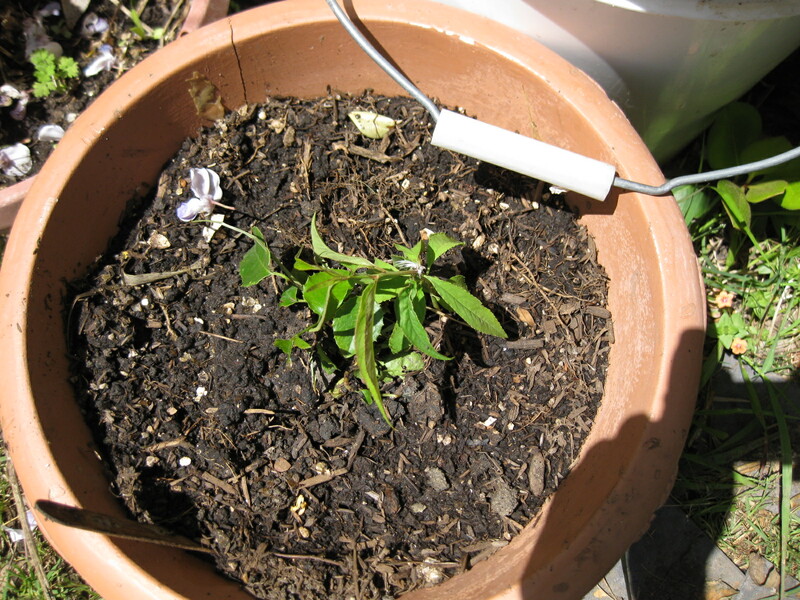 Die hard scientific types that have nothing but time and money to spend on composting. Then there are those like Donna who have the science down but tweak it to make it work for them. Then there are people like me who just more or less let nature take its course. I play around and learn some things just by accident. 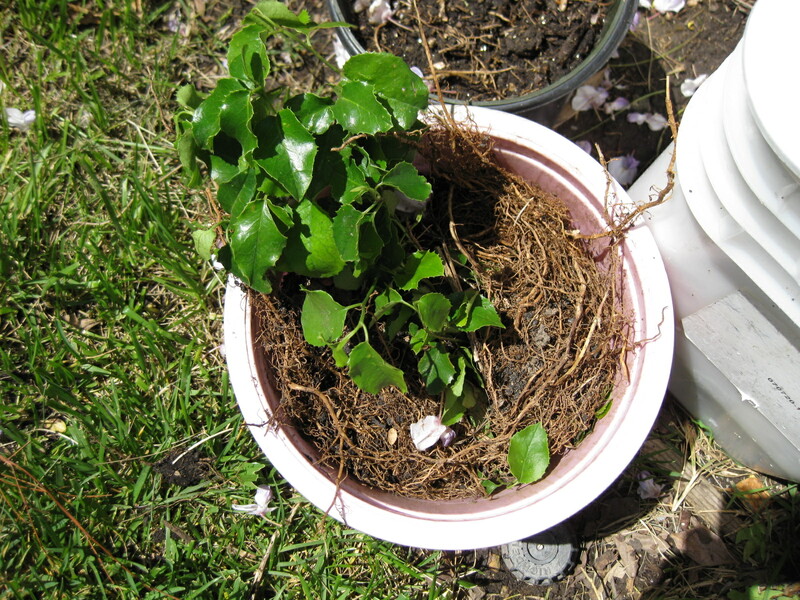 1) A cup of java or at least a cup or two of the coffee grounds added to the compost every now and then and those little worms will work their little hoofies to the quick. Now, don’t be reporting me to the humane society. It is not really the caffeine. It is the organic makeup of a coffee bean that they love to munch on. It’s dessert. It keeps them happy and regular. 2) The PH in coffee grounds is around 7.0, that’s neutral and all the caffeine was pressed out the first go around. Starbucks or most coffee shops give away their coffee grounds. Just ask. While you are at it give your roses a shot too. Mulch with it and it will keep the snails at bay. 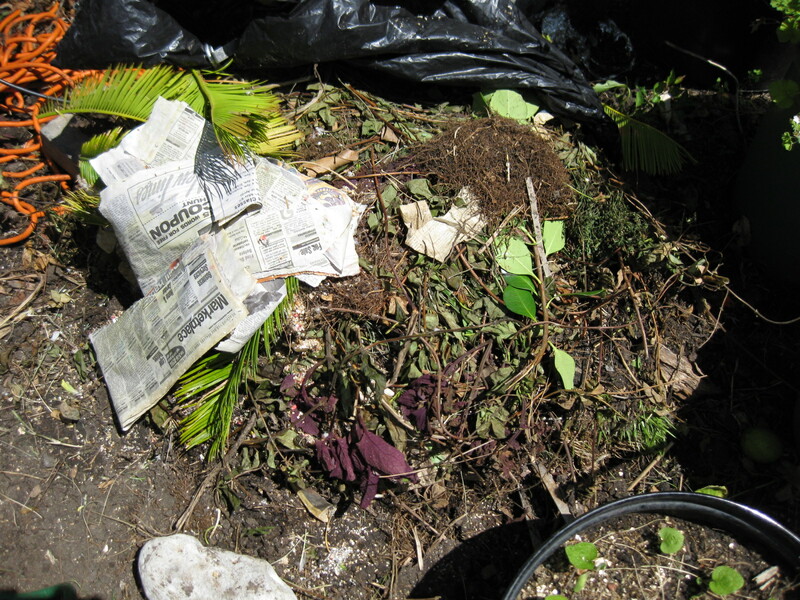 3) Comfrey leaves and stinging nettle can do things to the compost pile no other plants can. Check it out. Donna finally announced that we were done for now. “Right,” I said only slightly wondering how long ‘for now’ was. Donna confessed, “Jeanne,” she said, “I am a really lazy composter.” Lazy? I queried. “Yup, I don’t do half the stuff the books tell you to do.” Yikes. If Donna considers herself lazy then I must be catatonic. I don’t know what you call what I am doing, maybe just slave driving cause the worms were doing all the work. I bought potting soil last fall to repot my bamboo. Now it’s spring and time for another round of planting. I looked at my compost pile and decided it’s time to get the dirt out. I borrowed Donna’s sifter and finally worked my pile. There were a lot of Lumber Jack earthworms in there doing their thing. Good sign that they like the accommodations. Not only do the worms like it every seed I throw in there was sprouting. 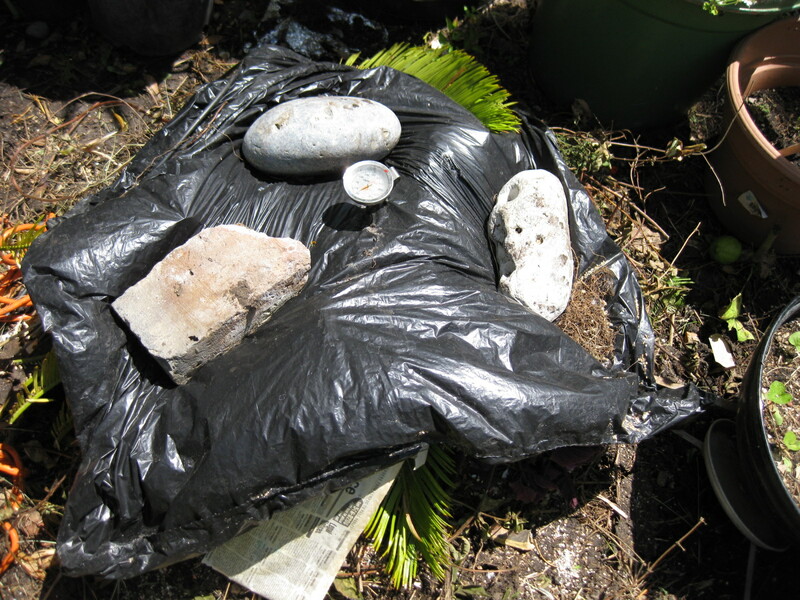 I had Avocado seeds, apricot, bamboo, comfrey, and a cherry forest growing in the compost pile. I had created a breeding ground. Good temp for sprouting but not hot enough to cook the pile down. I potted everything up that was sprouting. This time around I put in an oven thermometer I picked up at Goodwill for a buck, gave everything a big drink of worm tea to start the microorganisms working and covered it with some black plastic to warm it up. If it gets too hot for the worms they can just mosey on over to a cooler area. They will be back when the microbes are done doing their hot number. 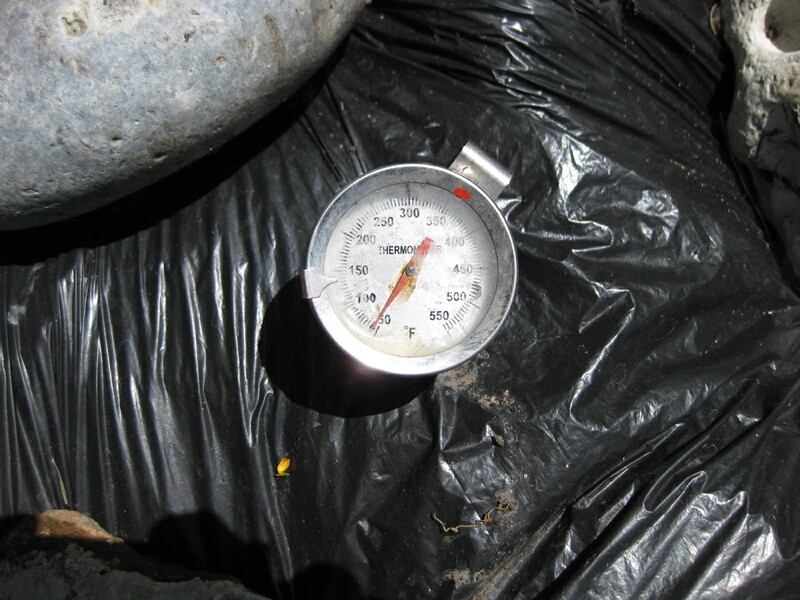 A compost pile that is really cooking should get to about 135-160 degrees. Maybe it will get hot and maybe it won’t. Either way hot or not I am fine with it. I get dirt no matter what I do. And I do as little as possible and that works for me. 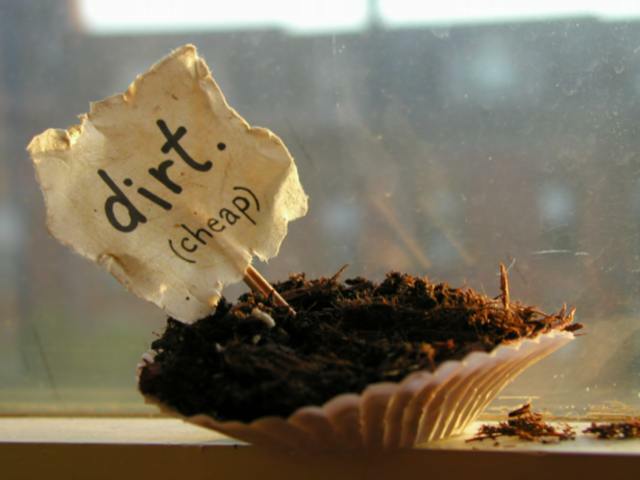 Dirt cheap and loving it.